While I love nature and respect the glories of the wilderness, I also know there has to be a delicate balance between the needs of the planet and the needs of humanity. I don't think highly of those who think trees have feelings, and while I respect the passion an environmentalist has for the Earth at times I am puzzled by the idea that the ends justify the means. Such is the case with the Earth Liberation Front, a controversial organization some billed as an eco-terrorist group that struck fear by setting fire to lumber mills, government offices, or any other entity they believed was a danger to the planet, though never targeting people in their acts. If A Tree Falls delves not only into the story of the ELF, in particular of member Daniel McGowan, but also into the entire idea of whether groups like the ELF are themselves terrorists. If A Tree Falls really is the story of McGowan, who appears to be a nice-enough fellow. We go through his journey as to how he became enmeshed in one of the most controversial groups on American soil. Daniel was not someone who gave much thought to the environment, until a woman brought him to a Wetlands benefit, and his eyes were opened to the extent of the dangers the Earth was facing. It isn't until he joins protests in Eugene, Oregon and in particular the WTO protests in Seattle that McGowan becomes truly radicalized. The threat to the Earth prompts him to join with the ELF, and they begin their attacks. While McGowan served as mostly a lookout, once participating in the actual burning of property, eventually he realizes that the group was going too far. However, by this time it really is too late: the FBI is already on the ELF's trail, determined to bring them down. The group eventually collapses on itself, but both the FBI and local investigators are determined to bring in all the ELF they can find. Eventually, they get a break with Jake Ferguson, another ELF member who becomes a stool pigeon and helps them find more members, including Dan McGowan. All this is told through McGowan, who in If A Tree Fell is most of the time under house arrest awaiting trial, along with interviews with other ELF members, investigators, and victims of the acts of arson. The film ends with the verdict: McGowan will serve seven years and be on a terrorist watch list, restricted to an ultimate maximum security prison, away from his family and new bride. Director Marshall Curry has a personal connection with McGowan: his wife worked with him, though unaware of his ELF affiliation. If A Tree Falls is brilliant in its objectivity: it neither attempts to make McGowan heroic for his actions nor does it condemn him for them. In fact, the film does well in interviewing the owners of the Superior Lumber Company where they get to talk about the fire that caused damage, not just to their property but to their sense of security. We also get to hear from the detectives, whom we see as professionals who are not against the environment but are not amused by the ELF's actions. If A Tree Falls is the first true documentary I've seen in a long time. Unlike other films that bear the name 'documentary', the film presents the story of the ELF and of McGowan without trying to show one side or the other as either good or bad. In short, we get to focus on how a basically good guy like McGowan got mixed up with the group. McGowan himself appears often in If A Tree Falls, and he comes across as a very sincere, even pleasant person, nowhere near the raving lunatic one might expect an environmentalist to be. Nowhere in the movie does it attempt to endorse the ELF's actions or to make them out to be monsters or vigilantes. Instead, If A Tree Falls is the portrait of a man who is sincere in his beliefs but nevertheless went about it the wrong way. McGowan talks about the last fires he was personally involved with at a poplar farm where the group believed the trees had been genetically altered; he talks about how they were given wrong information and that attacking the place was a terrible mistake, and the regret was palpable. In fact, If A Tree Falls could be accused of taking sides, it would be about whether labeling McGowan or any of the ELF as 'terrorists' on the same level as Al-Qaeda is appropriate. The ELF went out of its way to never set arson where people could be harmed or killed, and McGowan was in the majority of the ELF who were dead-set against targeting people, which some now wanted to do in order to protect Mother Gaia. It all seems so unfair to have this plump, pleasant, sincere individual labelled a terrorist, and perhaps this is as close to taking sides If A Tree Falls ever gets. 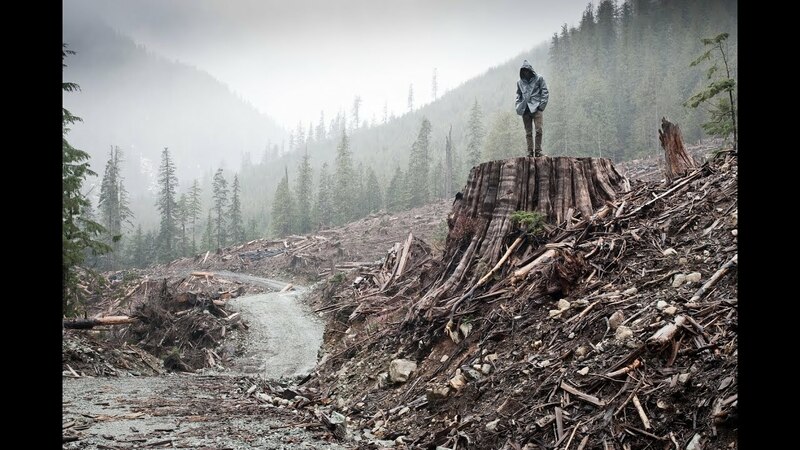 However, I'd say that If A Tree Falls comes as close to any documentary to live up to that title, to be a fair film that tries to place complex issues like terrorism and radical activism and environmentalism with an even-handedness. Unlike other documentaries which are really advocacy films asking me to take sides one way or another, If A Tree Falls is only interested in exploring all these issues within the story of Dan McGowan. It also has the benefit of having sparse narration. It is one of the best and fairest documentaries I've seen all year. The film ends on a sad note: McGowan has decided to take a plea bargain where he won't have to testify against others rather than have his family endure a difficult trial. For his efforts, he continues to serve a prison term which will end in 2014. Just before he goes, McGowan and his family, including his new bride Jenny Synan, go to the forest, and there is something sad and tragic at seeing McGowan walk around that beautiful nature, the one he so loved and which he sacrificed so much for. Dan McGowan is neither to be commended for committing acts of arson nor vilified for being passionate. In the end, you understand his motives but don't approve of his actions. You feel for him but you also see he did harm to both the movement he worked for and to others who were doing him no harm. If A Tree Falls: A Story of the Earth Liberation Front doesn't ask for either approval or condemnation. It only asks that we listen and learn from his story, and draw our own conclusions.